Here’s a string of new videos to go with my book The Unbelievable Gospel, which won “Book of the Year” in the Evangelism/Apologetics category in the Christianity Today awards. Feel free to use them in teaching, posting on your blog, or however they might be helpful. What is Re-evangelization? from Jonathan Dodson on Vimeo. Does Anything Need to Change in Personal Evangelism? from Jonathan Dodson on Vimeo. Why Do People Find the Gospel Unbelievable? from Jonathan Dodson on Vimeo. What is a Multi-Dimensional Gospel? – Jonathan Dodson from Jonathan Dodson on Vimeo. 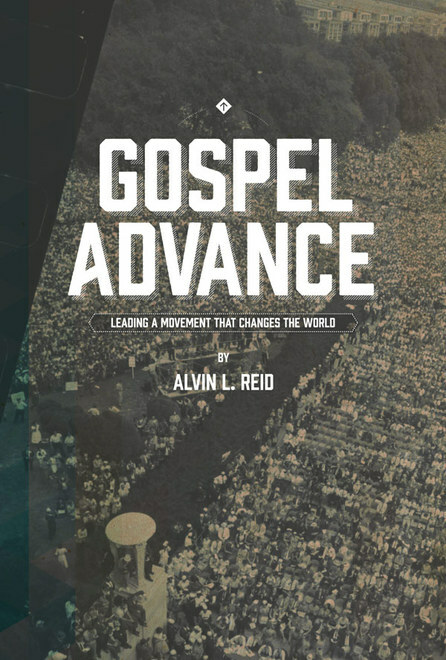 I’m excited to announce the GCD Books Monday release of Dr. Alvin Reid’s new book, Gospel Advance: Leading a Movement that Changes the World. The book is a great introduction to movements, and how anyone can join the historic movement of the gospel. This could be the next book that puts you, your disciples, or leaders over the hump of complacency into the thick of true missional living. Short, punchy, and inspiring! Buy it, read it, but most importantly, do it!